A vegetable planting chart is a handy guide to knowing when to start seeds or plant vegetables directly into the garden. As with most gardening tasks, when to plant anything outdoors depends on the gardening zone in which you live. Once you know your gardening zone, you can use the vegetable planting chart below as a rough approximation of when to get your garden ready. Before rushing to plant vegetables, take a few moments to tackle the following early spring garden tasks. These will set you and your garden up for success. As soon as soil can be worked, add compost. Have soil tested - most vegetables prefer slightly acidic soil. If soil is strongly alkaline or very acidic, ask at the County Cooperative Extension office for advice on how to adjust soil pH. Clean and sharpen pruners and saw blades. Check power equipment and follow service manual instructions for routine care. Purchase vegetable seeds, seed starting trays, and seed starting soil. The following chart lists vegetables started from seed or slips, whether you can plant them indoors or if they should go directly into the garden, and the approximate time when you can plant them. Remember that even among vegetables, certain varieties take longer to grow than others, so always refer to your seed package or local gardening information for specifics. Broccoli Start seeds indoors 6-8 weeks in spring or summer for fall Transplant into garden early spring or late summer for fall crop. Cabbage Start seeds indoors 8 weeks before last frost date Transplant into garden early spring or summer for fall. Eggplant Start seeds indoors 8-12 weeks before last frost date Transplant into garden late spring. Peppers Sow seeds indoors 8-12 weeks before last frost date Transplant into garden late spring. 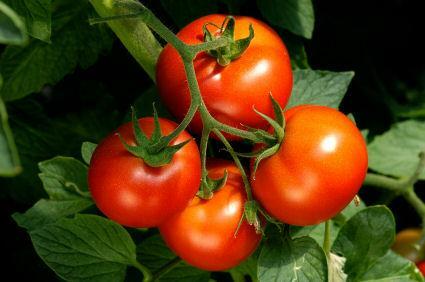 Tomatoes Sow seeds indoors 8-12 weeks before last frost date Transplant into garden late spring. This chart doesn't list all the possible vegetables you can grow in the garden. If you're experimenting with vegetables such as broccoli rabe, bok choy and many others, read the back of the seed package to learn when to plant them. Seed packages contain a wealth of information and all you need to know about starting your vegetable seeds. Each package gives directions about when to grow seeds indoors, if it's okay to start them outside in the garden, and when you should move seedlings into the garden.